Jetstar Airways is an Australian low-cost airline headquartered in Melbourne, Australia. It is a subsidiary of Qantas, created in response to the threat posed by low-cost airline Virgin Blue (now known as Virgin Australia). The airline operates an extensive domestic network as well as regional and international services from its main base at Melbourne Airport, using a mixed fleet of Airbus A320 family and Airbus A330 aircraft. 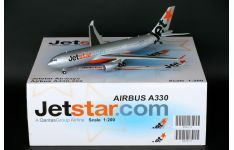 Product Description: Airline: Jetstar Airways Australia Aircraft Type: Airbus A3..
FREE SHIPPING AUSTRALIA WIDE ONLY Product Description: Airline: Jetstar Airways Austr.. 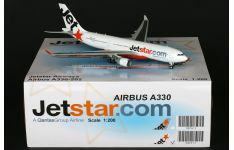 Product Description: Airline: Jetstar Asia Airways Singapore Aircraft Type: Airb.. 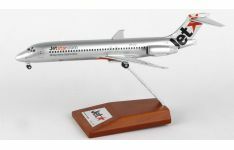 Product Description: Airline: Jetstar Asia Airways Singapore Aircraft Type: .. 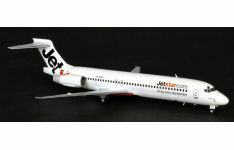 Product Description: Airline: Jetstar Airways Australia Aircraft Type: Boeing B7.. 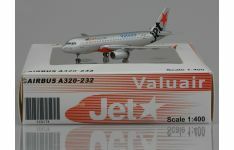 Product Description: Airline: Jetstar Airways Aircraft Type: Airbus A321-200 .. Product Description: Airline: Jetstar Airways Aircraft Type: Boeing B717-200 ..
** JC WINGS MEGA SALE PRE-ORDER - ETA ~ FEBRUARY 2018 ** Product Description: Ai..
Jetstar Asia Airways Airbus A320-232 in '2000s' colours, with 'Valuair' titles, brought to you by JC..